Dr. Towner is a Colorado native who graduated from the University of California - Davis in 1991. She opened Erie Animal Hospital in a small farmhouse in 2001. She expanded Erie Animal Hospital to our current state-of-the-art facility in 2004. Her interests in veterinary medicine include: internal medicine, surgery, dentistry, pain management, nutrition, acupuncture, and physical rehabilitation. Dr. Towner is Certified in Veterinary Acupuncture and Canine Medical Massage Therapy. She is currently completing her certificate in Veterinary Chinese Herbal Medicine. Dr. Towner and her team of doctors have over 30 years of experience providing compassionate, comprehensive care for your family pets. Dr. Tyler Hunt is a Colorado native, born and raised in Boulder, CO. He attended Fairview High School and studied pre-med at University of Colorado. After moving to Asheville, NC and adopting his first dog, Dr. Hunt shifted his focus from human medicine to veterinary medicine. Dr. Hunt returned to school to earn his degree in cellular and molecular biology at UNC Ashville in 2005 and his DVM from the University of Tennessee School of Veterinary Medicine in 2010. 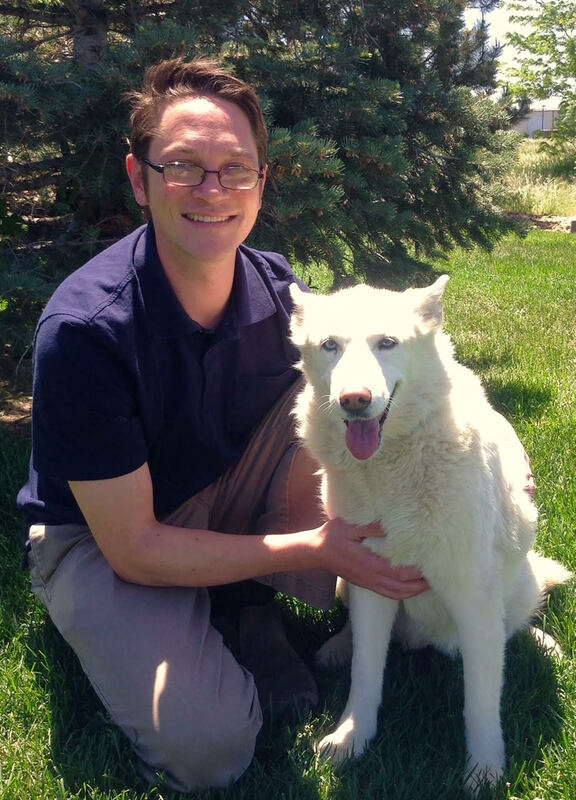 Shortly after completing his DVM, Dr. Hunt returned to Colorado and began practicing small animal medicine in the Denver metro area. Dr. Hunt enjoys all aspects of veterinary medicine with special interest in surgery, dentistry, dermatology, and supporting the human-animal bond. Dr. Hunt lives with his fiancé, four dogs, and two cats. In his spare time, he enjoys hiking, snowboarding, dancing, grilling, and home brewing craft beer. 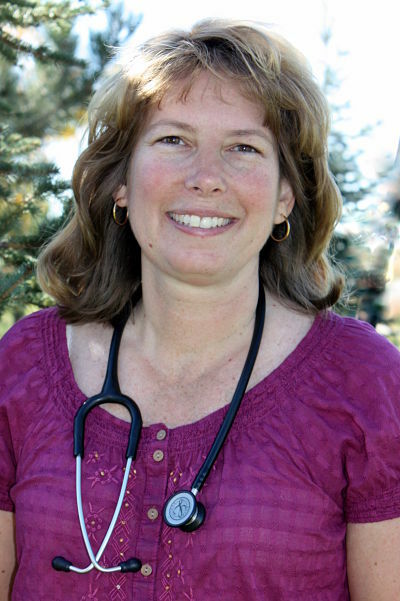 Dr. Julie Dobbs comes to Erie Animal Hospital from California. She was born and raised just north of San Francisco. She completed both her undergraduate studies in Animal Science and her Doctorate in Veterinary Medicine at University of California - Davis. 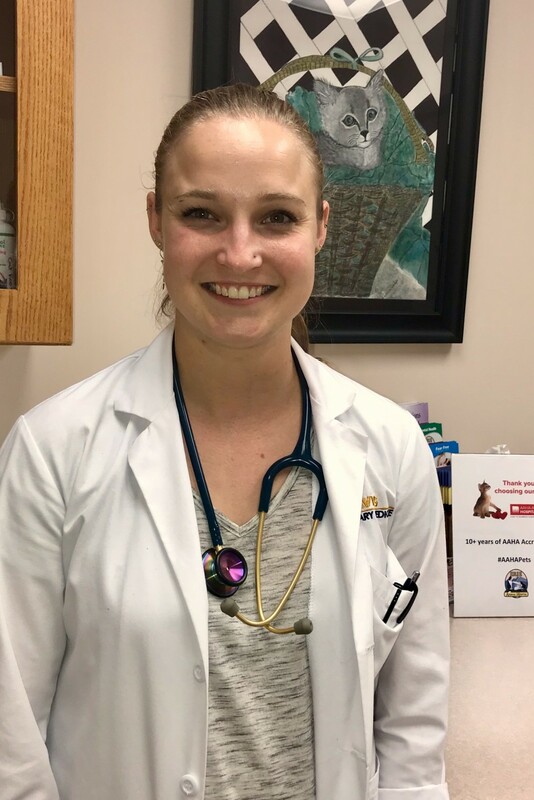 After graduating from veterinary school in 2018, Dr. Dobbs relocated to Boulder with her two cats to enjoy the opportunities that Colorado has to offer. Her special interest within the field of veterinary medicine include: behavior medicine, surgery, dentistry, integrative medicine and exotic medicine. She is certified in Veterinary Medical Acupuncture for both small and large animals. Dr. Dobbs also has an interest in backyard chicken medicine and husbandry. In her free time, Dr. Dobbs stays active in her new home by riding horses, running, hiking, biking, yoga, and rock climbing. She also enjoys spending time cooking, gardening, macramé, and craft beers.